Criminal law can no longer be neatly categorised as the product and responsibility of domestic law. That this is true is emphasised by the ever-increasing amount of legislation stemming from the European Union (EU) which impacts, both directly and indirectly, on the criminal law. The involvement of the EU institutions in the substantive criminal laws of its Member States is of considerable legal and political significance. 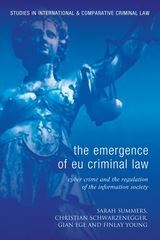 This book deals with the emerging EU framework for creating, harmonising and ensuring the application of EU criminal law. This book aims to highlight some of the consequences of EU involvement in the criminal law by examining the provisions which have been adopted in the field of information and communications technology. 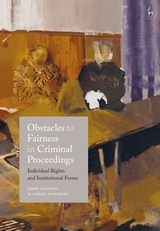 It provides an overview of the criminal law competence of the EU and evaluates the impact of these developments on the criminal laws of the Member States. It then goes on to consider the EU legislation which requires Member States to regulate matters such as data protection, e-security, intellectual property and various types of illegal content through the criminal law is analysed. In the course of this evaluation, particular consideration is given to issues such as the basis on which the EU institutions establish the need for criminal sanctions, the liability of service providers and the extent to which the Member States have adhered to, or departed from, the legislation in the course of implementation. 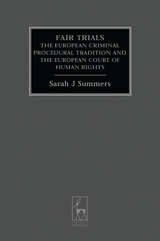 Sarah Summers is SNF Professor of Criminal Law and Criminal Procedure Law at the University of Zurich. Christian Schwarzenegger is Professor of Criminal Law, Criminal Procedure Law and Criminology and Head of the Institute of Criminology at the University of Zurich. Finlay Young, LLB (hons), LLM is a Scottish independent lawyer, journalist, and researcher. His research focuses on issues of access to justice in developing countries, and human rights law in the European context.